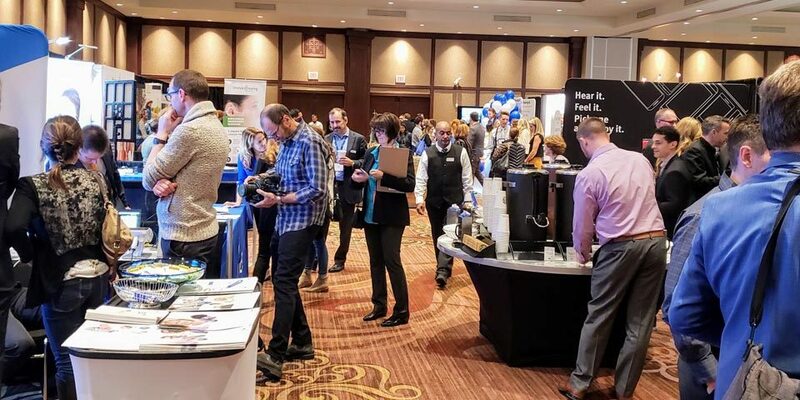 I was lucky enough to get my hands on a set of the new Phonak Audeo M90-R hearing aids at the start of November, when the official launch wasn’t until November 28, 2018. Intrigued by the bold claims and new found functionality afforded by Phonak’s “Made for All” platform, I was eager to test them out in different environments and to see just how well these hearing aids would stream. As I don’t have any hearing loss, my sample hearing aids were programmed for a very mild hearing loss. Although the sound quality was always comfortable, I will be the first to admit that this blog post is not a review on how the new Marvel hearing aids function in terms of amplifying environmental sounds, but more so how they connect with other devices and the quality of the streaming. I had the new 2M receivers and open domes for the week. I was a little worried about the sound quality that I would get with the open domes, but as you will read soon, those worries were largely unjustified. With just about every other hearing aid manufacturer deciding to go with the Made For iPhone (MFi) platform for direct audio streaming, Phonak is unique in their decision to stick with the Bluetooth Classic protocol. While the MFi platform works incredibly well and has some big advantages such as much lower battery drain, it does have a few drawbacks as well. Namely, currently only being able to stream directly from iPhone and iPad devices. It also does not offer a truly hands free solution without the use of an intermediary gateway device. By using the Bluetooth Classic protocol and some innovative design, Phonak has been able to stream audio from virtually any device with built in Bluetooth. This includes Android, Blackberry and flip phones. It also covers virtually all tablets, laptops, computers and even smart TV’s with built in Bluetooth. In my trial, I was able to connect with my iPhone as well as my laptop for the very first time. I was absolutely blown away by the sound quality. I kept mentioning to anyone who would listen how amazingly clear these sounded, and how much better they were than any earbud headphones I had ever worn before. The Phonak Marvel hearing aids can detect if you are streaming music or speech and they automatically adjust accordingly. Parts of the music literally jumped out, and every instrument was identifiable from the others. The volume range was incredibly easy to adjust through the push buttons on the hearing aids and offered a very large range. From having soft background music that sounded like it was a radio playing off in the distance to loud, clear music right in your ears. I even listened to three albums back to back on a 3 hour flight at a comfortable level, yet was still able to interact with the stewardess when she came by to offer me a drink. Very impressive! Since Marvel adjusts the frequency response depending on the streaming signal, voices in podcasts or audiobooks sound crisp and clear, and are very easy to understand even in the presence of background noise. To test this out, I listened to over 5 hours of podcasts over the week while driving around from clinic to clinic. Even with the road noise of my winter tires, and the windshield wipers scraping off snow, I was comfortably able to hear everything in the podcasts. Not only was I very impressed with the sound, but I also discovered how much knowledge is available to learn through podcasts. These new hearing aids are completely hands free. You answer the call by pushing the button on the top of the hearing aid and the voice on the other end is sent directly to both ears. Your voice is actually picked up by the hearing aid microphone and transmitted back to the phone. Your cell phone must simply be within 20 feet of where you are. That’s it. If it is buried in a pocket or a purse, you don’t have to dig it out. Simply click the button and you are ready to go. The first call that I received with these hearing aids was while in a noisy taxi with 3 other people. I easily understood everything that my friend said, and he didn’t notice anything unexpected with my voice. At the end of our conversation I explained that he was hearing me through the microphone in my hearing aids and I hadn’t taken my phone out of my pocket. He was pretty impressed! I have since made many phone calls, and the only one that wasn’t a success was in a very noisy restaurant. I eventually had to go outside, though I suspect that I would have had to do that if I had tried holding the phone to my ear as well. On one drive I had forgotten to turn off my car Bluetooth connection, and the call came in through my cars system. After a couple breakdowns in our conversation, I suggested that I would switch to the hearing aids and try calling back. After doing this, my colleague on the other end was very surprised by how much easier it was for her to hear me. The hearing aid users voice quality is significantly better when picked up through the Audeo Marvel while driving than either of the two different built in car systems that I tried. Overall, it was an incredibly comfortable and effective way to talk on the phone. Although the other patrons of the grocery store might have thought I was talking to myself as I went through our grocery list while talking to my wife who was at home. The whole time I had two hands free to pick things off the shelves and placed them in my basket. One of the key parts of having a successful hearing aid fitting is the physical fit of the device. The second part is in the way that they are programmed. 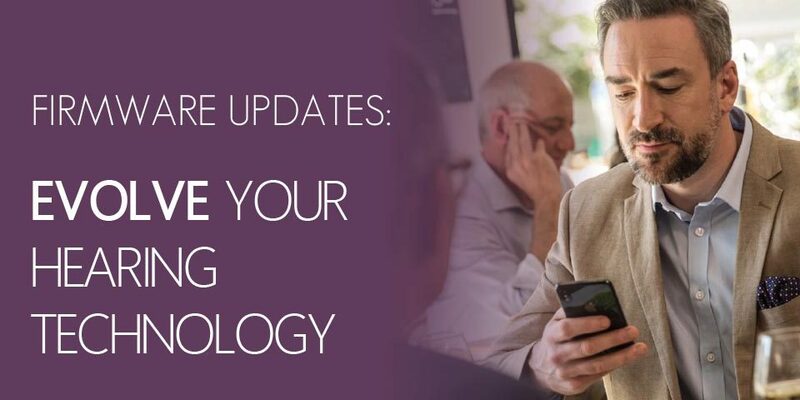 It is very important that the hearing aid settings are adjusted any time that the domes are changed. This became very evident to me when I tried putting a closed dome on the hearing aids during my plane ride to try and block out more of the background noise. It was very successful in blocking out the noise, but the sound quality greatly suffered. The streamed music went from crisp, clear and full sounding to dull and muffled. As much as I knew this could happen, the result was far more dramatic than I had expected. 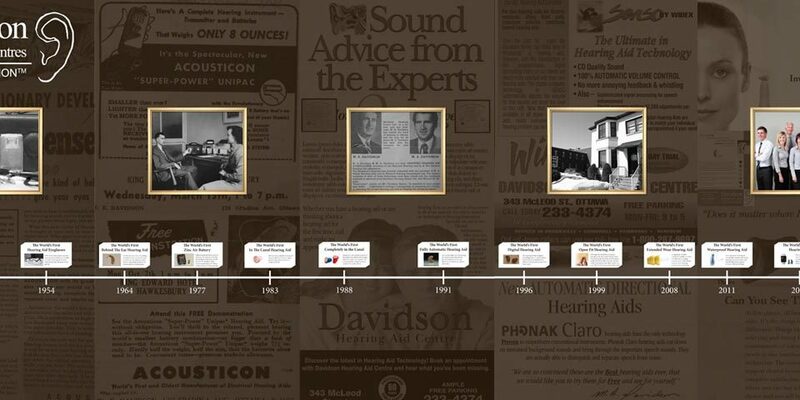 Again, just a reminder for anyone who is thinking of changing their domes to a different size, or one that plugs the ear more or less, it is incredibly important to have the hearing aid programming completely changed to continue to enjoy great sound quality. 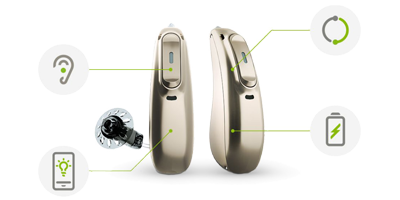 The Marvel is Phonak’s second generation of hearing aids using a built in lithium-ion rechargeable battery. We have had incredible success with the first generation systems, and are very excited about this one. Battery life of the Marvel devices is estimated at 24 hours between charge without streaming. With 4 hours of continuous streaming, Phonak reports that number will be reduced to around 16 hours. Despite ample streaming, I wasn’t able to run out of battery on my demo devices which was nice. Although I was completely amazed by what these hearing aids are able to do, and the quality of the streaming sound, I did run into a couple of small issues. The first was when I was streaming music or podcasts in the car. If I hadn’t disconnected the car’s Bluetooth from my phone, it would cut in and out as it tried to jump back and forth between the car and the Marvel hearing aids. This is more a Bluetooth setup issue that is definitely not something unique to hearing aids, but still worth noting. If I were wearing these hearing aids all of the time, I would remove my car’s Bluetooth from my phone as the hearing aids offer far superior sound for both you and the person at the other end of the call. As I finish writing up this review, the Phonak Audeo M90-R hearing aids have been in my ears for over 12 hours today. They are incredibly comfortable to wear and most of the time I don’t even know they are there. The rechargeable batteries are still going strong and I’m currently streaming one of my favourite albums from my computer. I will be sad to return these devices to Phonak tomorrow. I want one for no reason. I don’t even need hearing aids. To find out more, or to watch Phonak’s videos on everything these hearing aids can do, please visit our Phonak Marvel page.